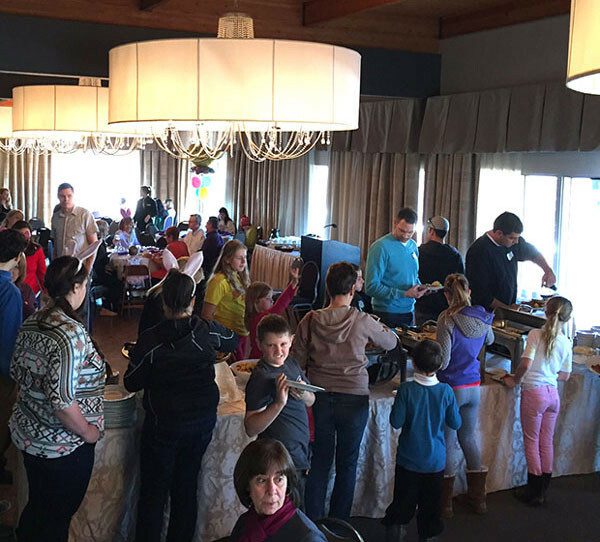 This past weekend, Petley-Hare hosted the second annual ‘Eggstravanza’ in support of Big Brothers Big Sisters of Oshawa – Whitby at the Oshawa Golf & Curling club. The event was a total success! We had an amazing turnout and all of the kids left with full bellies and smiles from ear to ear. The morning started with a fabulous breakfast, jam packed with bacon and pancakes of course. 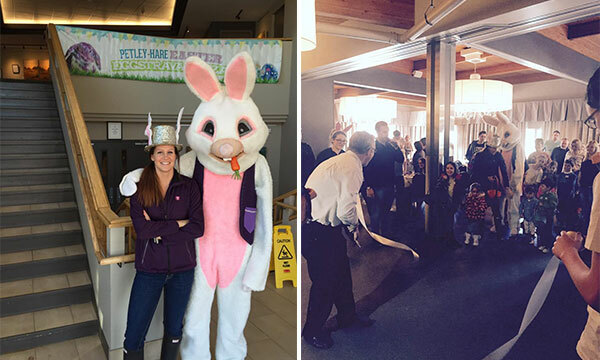 From there, we had Mayor John Henry cut the ribbon which set the kids loose to adventure around the Golf Club on a ravenous quest for Easter eggs! Afterwards, the children scurried over to the bungee-run or were busy filling their hands and mouths with pink, cotton candy or freshly popped popcorn. It was surely an outstanding day that could not have been possible with out the help of our amazing community. With their generous donations, we were able to provide an exciting and fun-filled day for the children, along with unforgettable, lifelong memories. On behalf of Petley-Hare Limited we would like to extend a heart-felt thank you to the Oshawa Golf & Curling Club, Biggun Amusement & Promotions, Bocking Financial Solutions, Costco Oshawa, Frantastic Events, Hardiman Mount & Associates, Intact Insurance, John Henry, Northbridge, PACE Network Inc, Party Giant, Wal-Mart and of course Big Brothers Big Sisters of Oshawa-Whitby.